There isn’t a more competitive automotive segment than the midsized sport utility crossover market. That’s for good reason, as year after year the American motoring public’s appetite grows for these kinds of vehicles. One of the top performers in this vehicle segment is the Toyota Highlander. Why is the Toyota Highlander the best choice for a midsized crossover? It simply offers all the features and benefits that you could ever want or expect. The most notable of these features is the vehicle’s interior. Let’s face it, the Highlander was built first and foremost with families in mind. That’s why Toyota designed the interior of the Highlander to be borderline cavernous. There are three rows of seating to comfortably accommodate the whole family, and plenty of tech features to keep them entertained. While the Highlander is big on interior space, it’s not so large that the crossover is cumbersome to drive. In fact, the Highlander is quite nimble on its feet. Fuel efficiency ratings are strong with this sport utility crossover, and Toyota even offers a hybrid version of the Highlander. 2200 Ave T, Birmingham, AL 35218. What’s New in the 2019 Toyota Highlander? The 2019 Highlander is primarily a carryover from the previous model year – aside from minor tweaks like some exterior styling updates on several trim levels. But when you’re talking about a vehicle that’s as well-rounded and value-infused as the Toyota Highlander, there’s no need to mess with a winning formula. One of the best crossovers available today, the 2019 Highlander comes in five excellent trim levels – LE, LE Plus, XLE, SE, and Limited – along with three hybrid options for those who want exceptional fuel efficiency. The cabin is refined and spacious, with abundant features that enhance comfort, convenience, connectivity, and entertainment and ensure that even long drives or traffic-congested highways are easily manageable. Evidence of Toyota’s commitment to road safety for all, Toyota Safety Sense P is equipped standard on all Highlander trims. Featuring such smart equipment as a pre-collision system, automatic high beams, dynamic radar control, and lane departure warning, this package is an invaluable addition to the family-oriented Highlander. When you’re ready to see the 2019 Highlander in action, head for Limbaugh Toyota. You’ll find many versions of this driver favorite among our huge inventory along with incredible savings that make our dealership the only one you need to visit! The Highlander hit the market in 2001 as one of the first car-based crossovers ever offered by a manufacturer. The crossover was an immediate success and became Toyota’s best-selling SUV model for a number of years. Buyers were enamored with the Highlander’s roomy and feature packed interior, and it was especially popular among those with families. After a successful seven-year sales period, Toyota redesigned the Highlander for the 2008 model year. The factory doubled down on the roominess factor and crafted an interior that was even more spacious than before. In response to the vehicle’s popularity with families, Toyota also added a larger third-row seating option to the vehicle. The third generation of the Highlander arrived for the 2015 model year. Toyota continues to enhance technology and performance aspects with every subsequent model year which ensures that this crossover will be popular for years to come. 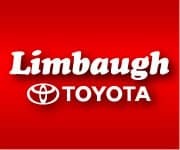 Why Get Your Highlander at Limbaugh Toyota? new Toyota Highlander, you’ll definitely want to check out our big selection. You can take your pick from all the different Highlander trim levels, and we have the crossover available in a wide variety of colors.